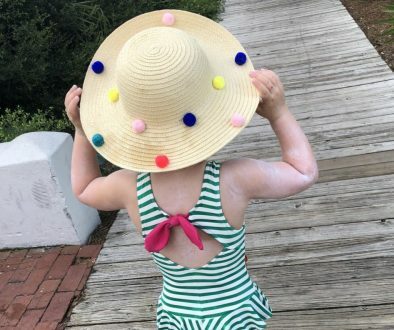 Since the birth of my little C., we’ve loved everything about B. Toys, and the Easel Does It toy easel is certainly no different. We adore it! 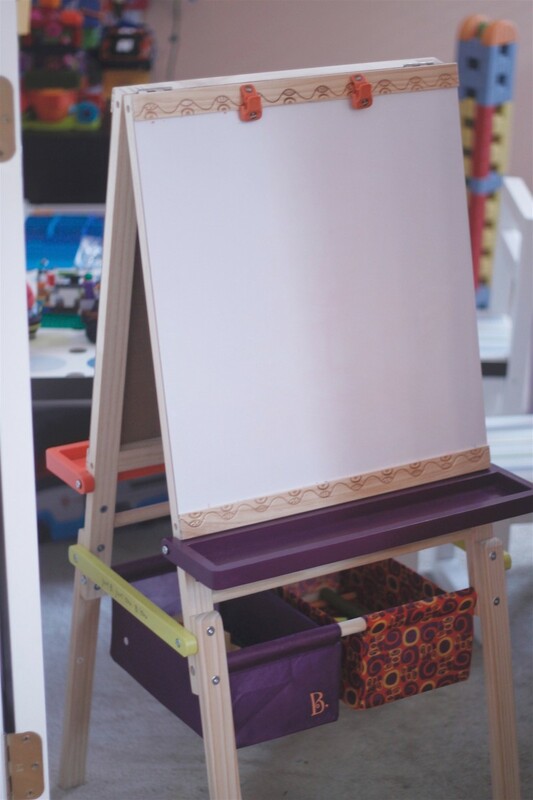 Sometime last month, little C. was leaning on his wooden easel and it broke – out of nowhere! So, I was ecstatic to be able to surprise him with this new one that’s even better than the old one he had. He’s such a little creative artist that I hated for him not to have one to express himself. It’s so good for him! When Battat sent this to us to try, I knew it would be perfect. And it is. B. Toys are made from natural elements, so this wooden one is crafted from natural wood, and it’s double-sided (yay!). 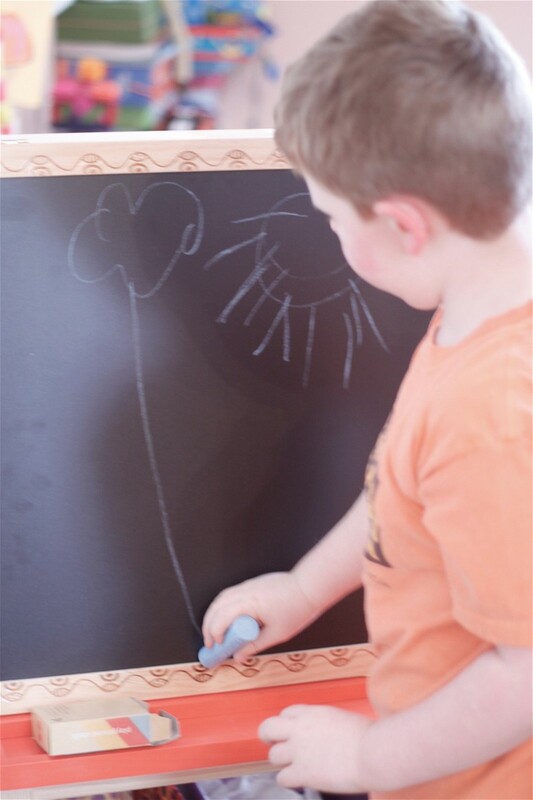 He can use the whiteboard (with paper clips for his masterpieces) one day, and chalkboard the next. Each side has a tray to hold the chalk and markers, and down below are little buckets that hold all the extras. 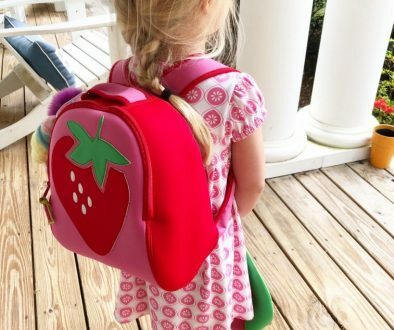 It’s a really great size and super lightweight, so if you need to move it around, it’s a cinch (his old one was quite heavy, so I love this feature!). My little guy loves to draw, and is creative like WHOA. 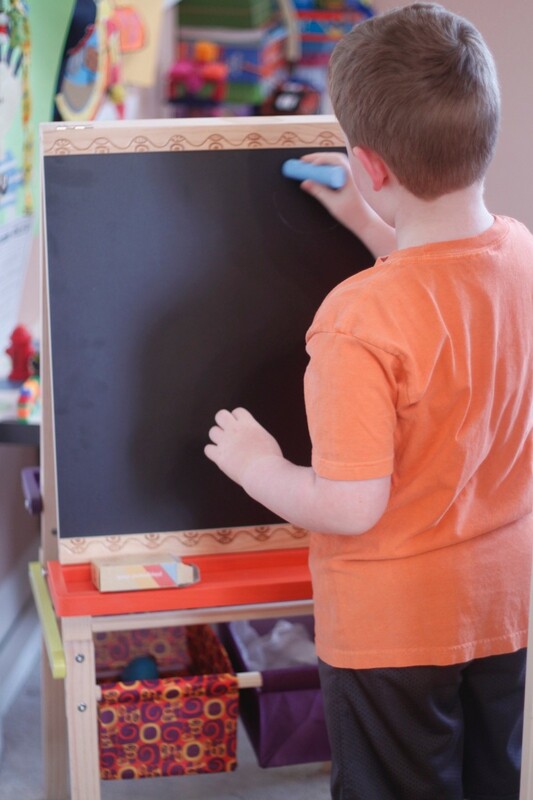 Right now he’s actually using this easel as an entry “welcome” sign that says “open” on the chalkboard with a smiley face as a welcome to his playroom. 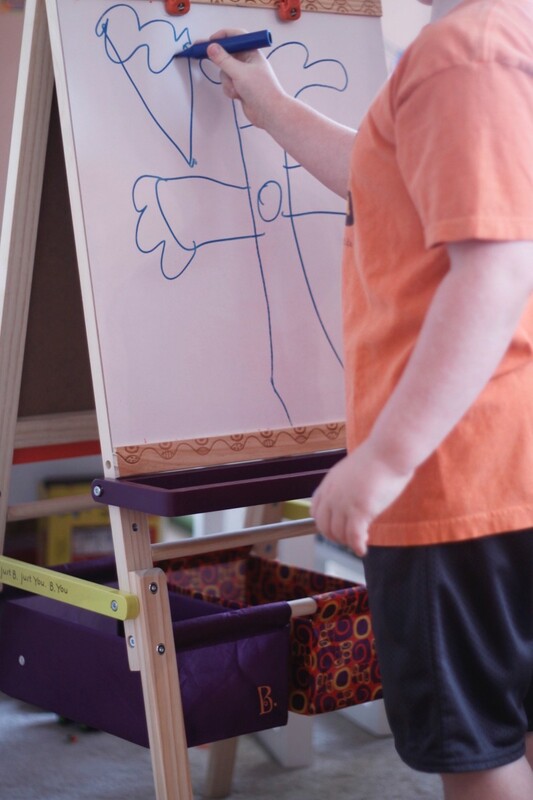 He never ceases to amaze me with his cute little imagination, and I hope this easel truly inspires him to continue his love of art! 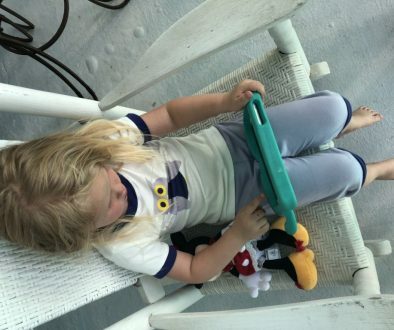 Raising a left-brained kid is just fine, but this mama wouldn’t mind plenty of the right brain, too. Wink. P.S. 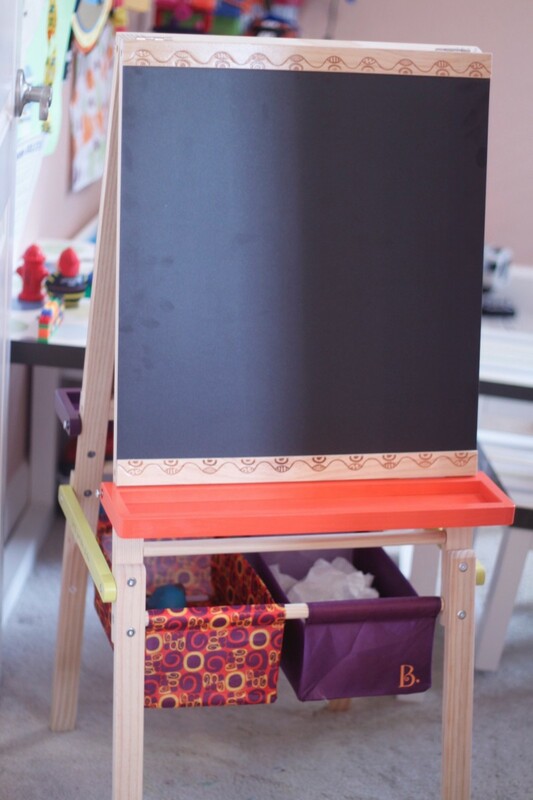 The easel retails for just $60 and is a fantastic gift for the 7 and under crowd. You can find it at Target! Disclaimer: I did not receive compensation for this post. B. Toys sent me this product to test for the purpose of this review. As always, all opinions are my own. Loves it. Share the post "Whiny Wednesday: Easel Does It"